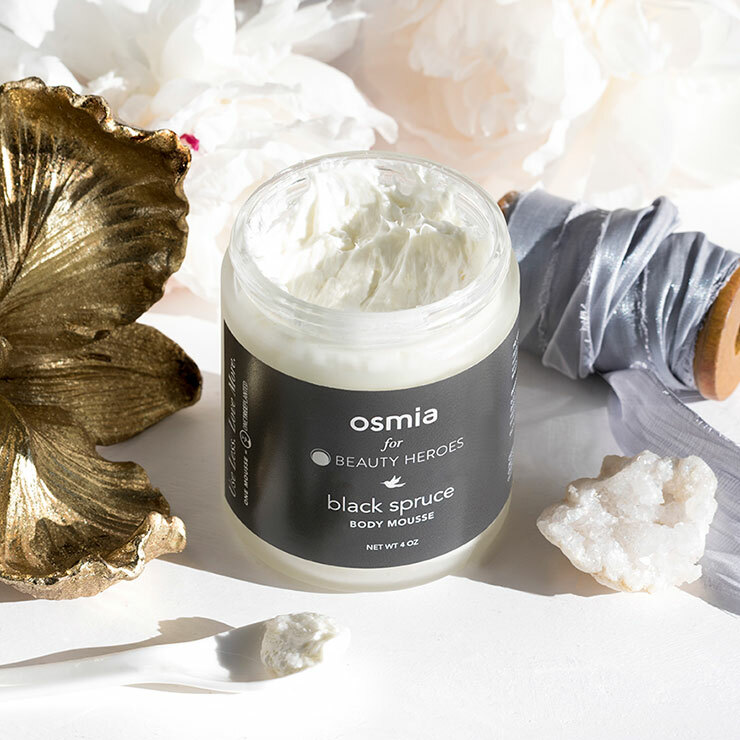 Jeannie and Dr. Sarah Villafranco teamed up to craft the perfect winter body mousse, scented with rich and refreshing black spruce essential oil, and they're making ONLY 40 jars. This Craft Series Body Mousse is whipped with a supreme quality spruce has an invigorating effect on the senses, lifting the spirits and boosting any feeling of low energy. 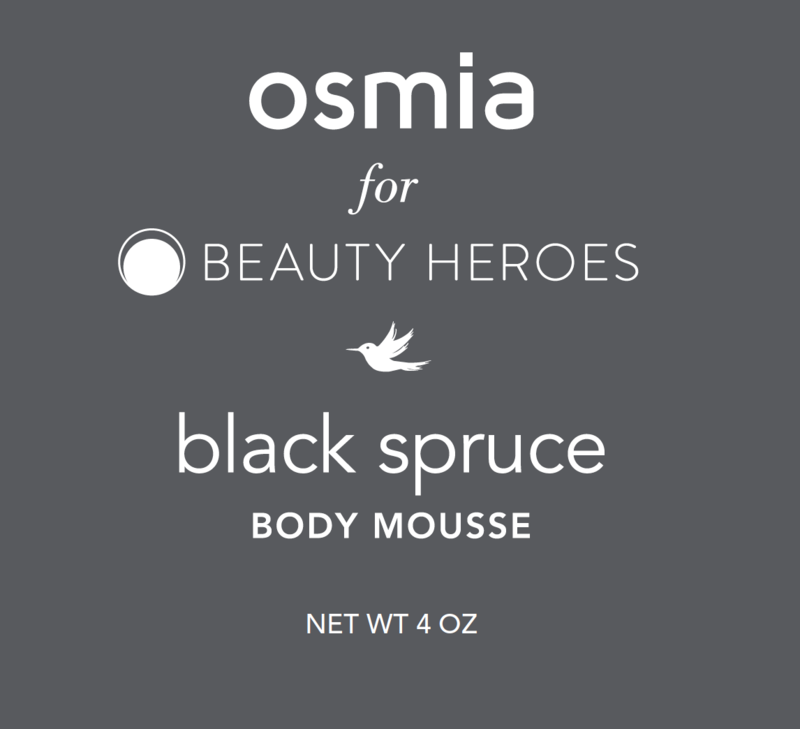 The Osmia Body Mousse is a whipped organic shea and babassu butter that melts onto the skin for the ultimate in fluffy white moisture that makes skin feel ultra soft. This mousse melts into skin, giving it a nourishing feel, perfect for massaging onto hands, feet, elbows and knees to improve the look and feel of severely dry skin. Each recyclable or reusable glass jar comes in a Beauty Heroes fabric pouch. Plus, a tree will be planted in your honor for each jar purchased.